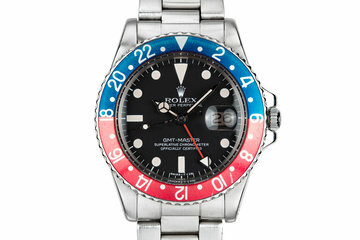 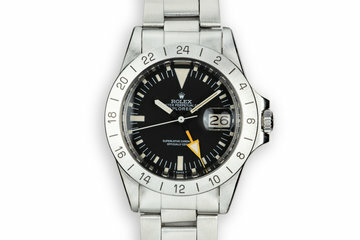 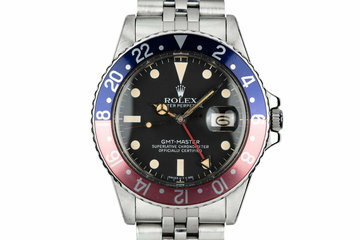 1972 Vintage Rolex GMT-Master 1675 "Pepsi"
Excellent case that has previously been polished and shows some wear from use. 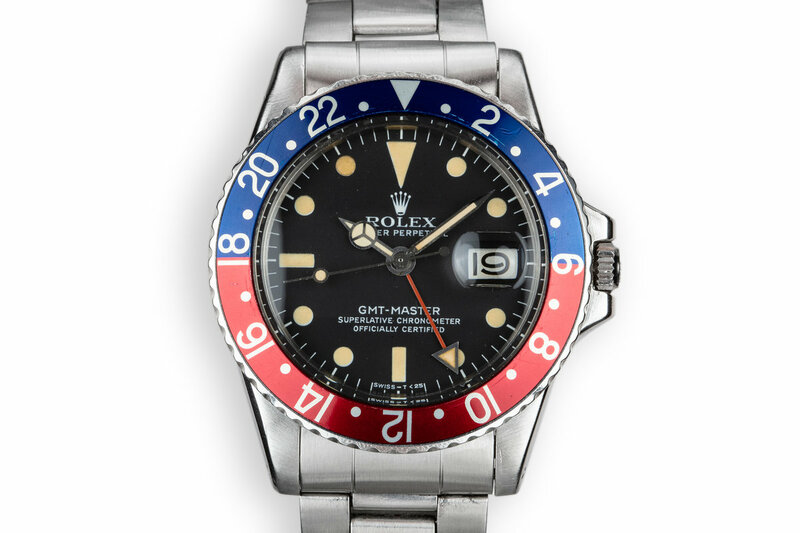 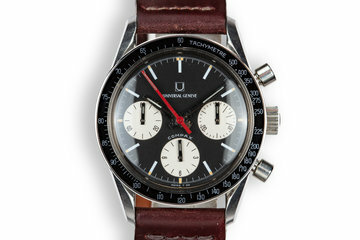 The red and blue “Pepsi” bezel insert is in excellent condition with some light scratching present. 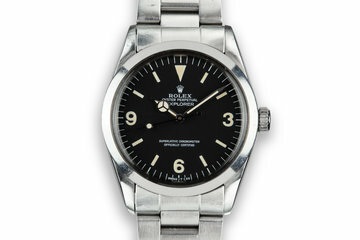 Excellent matte black dial with warm sand lume plots and matching hands. 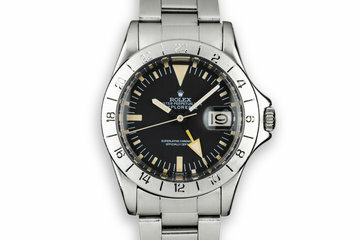 The 11 o’clock marker has aged slightly darker than the rest of the lume plots.